Since 2012, Mastercard and the World Food Programme have been working together to deliver innovative solutions to help create a world with Zero Hunger. The partnership connects Mastercard’s expertise in technology and payment systems with WFP’s work delivering food assistance around the world. Collaborating on an ambitious mission to end hunger, the partnership has brought new ideas to WFP operations while raising key funds. 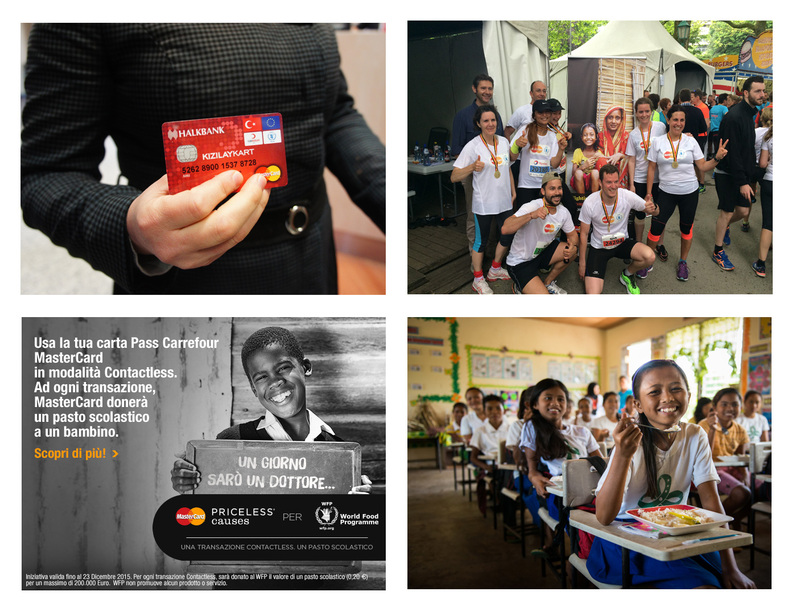 Sharing expertise: Mastercard and its employees have been central to the partnership, helping us optimize valuable research, improve our school meals value chains and introduce digital food to the people we serve. Since the start of the crisis in Syria, 2.2 million Syrian refugees in Lebanon and Jordan have used Mastercard-branded pre-paid cards to purchase food in local stores, which empowered them to make the best food choices for their families. Integrated giving: making giving part of everyday life, Mastercard and its bank and retail partners have raised funds to provide over 17 million school meals to children around the world. Over 70 Cause Related Marketing campaigns in 17 countries across Europe have given customers the opportunity to come together and make a cumulative difference one transaction at a time. Through 2017, the partnership plans to take best practices from Europe and expand globally. Supported WFP’s transition in vulnerable communities with stable food markets from traditional food distribution to cash and vouchers, to save time and money and to support the growth of local economies. Providing marketing expertise and building digital infrastructure to help brands and consumers fundraise and advocate to achieve Zero Hunger. Raising funds to provide nutritious meals to school children and to support emergency operations.